Nestled among the binsof handlebars and boxes of motorcycle parts in Walter Gemeinhardt’s South Hackensack shop is his grease-streaked specialty: the shovelhead engine. Harley-Davidson Motorcycle Co. has gone through several iterations of its signature motor, and the most infamous is the shovel, so named because of its shape, which holds a special place in Gemeinhardt’s heart. 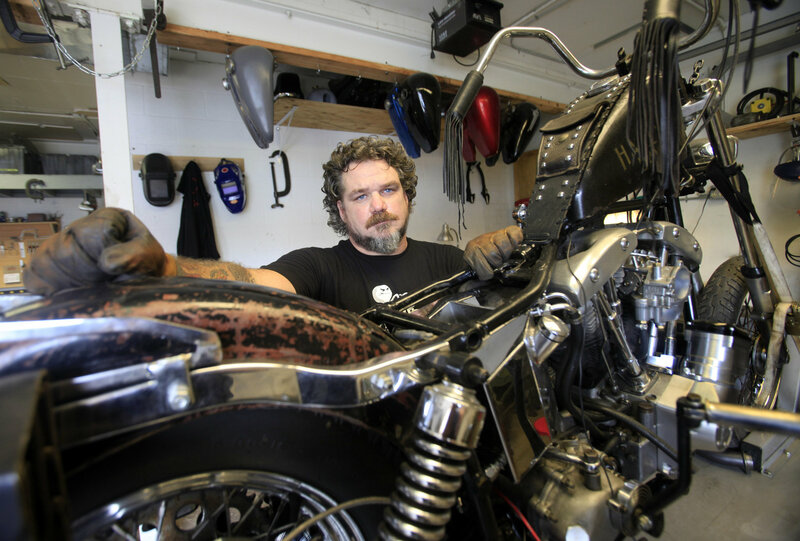 The 45-year-old tattooed and bearded machinist — who spent decades touring with bands such as Alice in Chains and Bon Jovi as a drum tech — is the rare mechanic with especially large, fat-fingered yet deft hands. The shovel’s reputation for leaking, breaking down and overheating is a result of poor maintenance, not a faulty design, says Gemeinhardt, owner of Kickstart Cycle Supply, which opened in 2006.